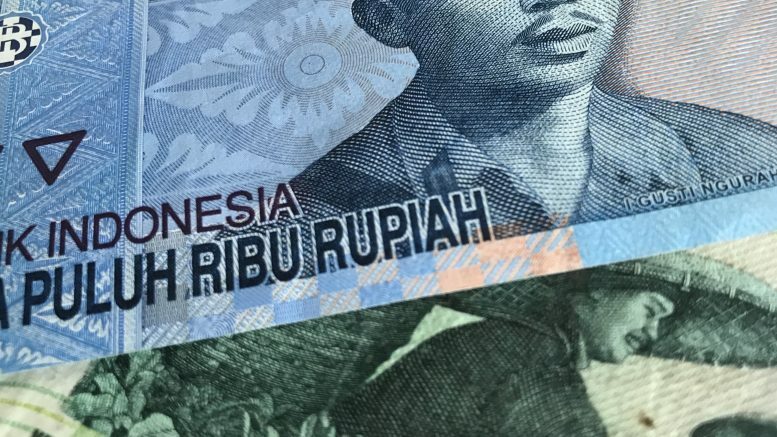 Foreign exchange trading of the majors was on the quiet side on Thursday, but while Indonesia’s rupiah was rangebound after the central bank kept rates on hold, at least one analyst was warning the currency could drop ahead. “With the Brexit vote past us, the U.S. government shutdown at an impasse and U.S.-China talks showing little progress, the markets remained in a state of suspended animation awaiting fresh catalysts,” Boris Schlossberg, managing director of foreign-exchange strategy at BK Asset Management, said in a note on Thursday. He noted that sterling was steady after Prime Minister Theresa May survived a no-confidence vote, but the Brexit process was at an impasse. “Still, the market assumes that at very least the status quo will prevail and at minimum Article 50 will be delayed until a more palatable solution is found,” he said. Indonesia’s rupiah was also fairly steady after its central bank, Bank Indonesia, kept interest rates on hold on Thursday, saying the rate-hiking cycle was “near its peak,” Nikkei Asian Review reported. That was after the currency dipped last year to levels it hadn’t seen since the Asian Financial Crisis in the late 1990s. But Capital Economics warned that the rupiah could still lose ground ahead. “We think that the rupiah will still come under pressure this year. Our forecast is that the U.S. stock market will fall sharply, which has historically put the rupiah under pressure as investors have retreated from risky assets,” Capital Economics said in a note on Thursday. It forecast the rupiah could fall 8 percent against the U.S. dollar by end-2019, which would force Bank Indonesia to hike rates again. The U.S. dollar index was at 96.07 at 7:05 A.M. SGT after rising as high as 96.23 and dipping as low as 96.01 on Thursday, according to ICE data. The 10-year U.S. Treasury note yield was at 2.752 percent at 8:29 A.M. SGT, rising from as low as 2.704 on Thursday, according to Tullett Prebon data. The euro/dollar was at 1.1390 at 8:31 A.M. SGT after trading in a 1.1369 to 1.1407 range on Thursday, according to DZHI data. The British pound/dollar was at 1.2972 at 8:31 A.M. SGT after trading in a 1.2831 to 1.3001 range on Thursday, according to DZHI data. The dollar/yen was at 109.339 at 8:32 A.M. SGT after trading in a 108.66 to 109.401 range on Thursday, according to DZHI data. The dollar/yuan was at 6.7734 at Thursday’s close after trading in a 6.7435 to 6.7767 range during the session, according to DZHI data. The dollar/Singapore dollar was at 1.3554 at 8:32 A.M. SGT after trading in a 1.3535 to 1.3575 range on Thursday, according to DZHI data. The dollar/Malaysian ringgit was at 4.1080 at 8:31 A.M. SGT after trading in a 4.1010 to 4.1160 range on Thursday, according to DZHI data. The dollar/Indonesian rupiah was at 14,175 at Thursday’s close after trading in a 14,120 to 14,195 range during the session, according to DZHI data.